Umami Burger menu prices are here. Umami Burger is more the fast-casual dine-in choice for its headliners: hearty burgers, cocktails and craft beers. Unlike most hamburger restaurants, Umami (Japanese for “savory” owing to the suspected MSG seasoning) has waiter service and the majority of locations have a full bar. The company was founded by Adam Fleischman in 2009 after starting up a wine bar in Los Angeles. Below are the latest Umami Burger menu prices. Ersatz Patties and Specials: Hatch (roasted hatch chilies, house Cali cheese, roasted garlic aioli), Cali (butter lettuce, grilled tomato, caramelized onions, house spread, and house Cali cheese), Ahi Tuna (seared Ahi patty, daikon radish sprouts, crushed avocado, gingered carrots, wasabi flake, and wasabi tartar), Greenbird (turkey patty, crushed avocado, green cheese, buttered lettuce, sprouts, and green goddess salad dressing, containing mayonnaise, sour cream, chervil, chives, anchovy, tarragon, lemon juice, and pepper) and Black Bean (chipotle black bean patty, hard queso cotija cheese, guacamole, street cart pickles and cilantro). Other items on the menu are bourbon, craft beer and the usual sides of salads, fries, and onion rings. Though a Southern California start-up (and 15 branches altogether in that part of the state), Umami has since expanded to New York (3 locations) and points west: Chicago, Illinois, Nevada, and Northern California (4) for a total of 24. 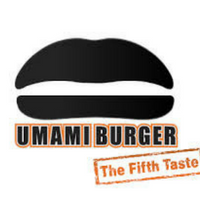 For more information about Umami Burger, visit their official website. How do I remove this restaurant from your directory? This pricing is inaccurate and it is not updated with menu changes. This is directly affecting guest experience at the local level. Also, your contact email is not working. You should have a Request to Remove link to de-publish restaurants if you can’t be reached easily at your info address. Thank you.